“Cloud-capped” mix, Everyone Alive on tape second edition, interview for Long Way From Home. Talking of the Everyone Alive Wants Answers reissues, the tape sold out really fast, but a few copies are still available via Midheaven, and Beacon Sound are doing a second 100-copy limited edition, this time with a black shell – this will be the final edition and available only via Beacon Sound, so don’t miss it if you want one! The vinyl is available here. I’ve also had the pleasure of writing about my adoptive town of San Sebastián and sharing photos of some of my favorite spots for the newly launched Long Way From Home. 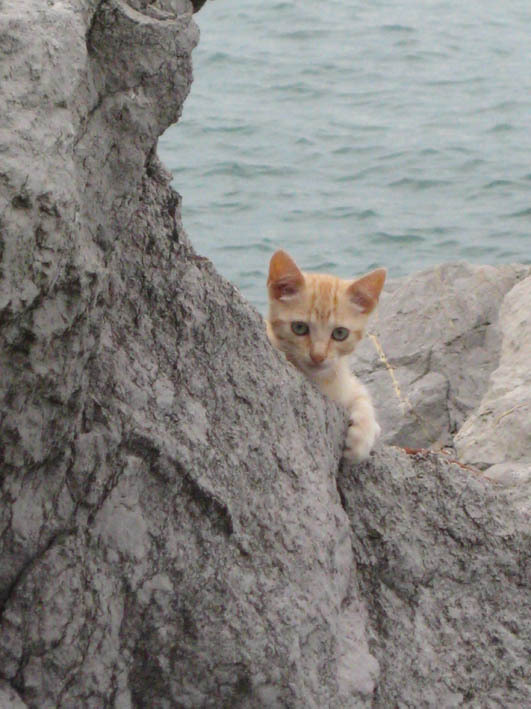 And yes, kittens hiding among the rocks with the sea in the background are among the best things of the place! You are currently viewing the archives for November, 2015 at colleen.